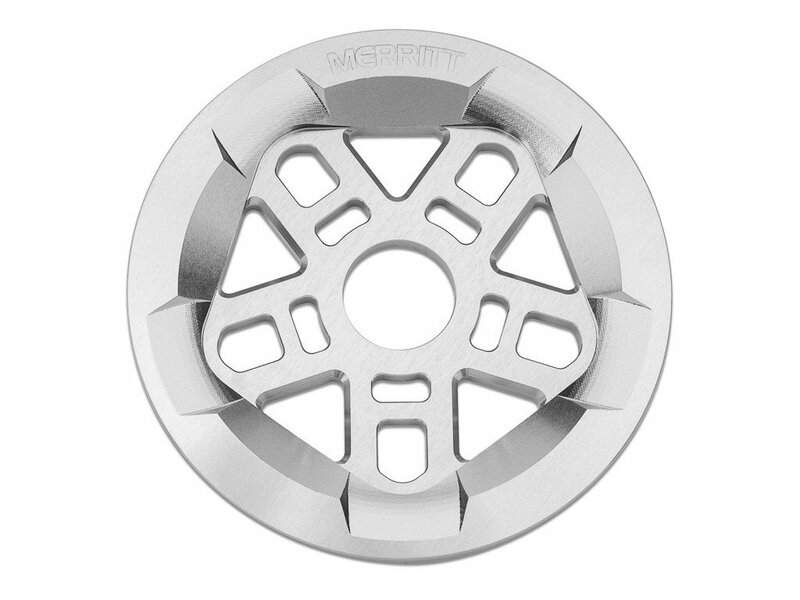 The Merritt BMX "Pentaguard" Sprocket is Brandon Begin signature sprocket. 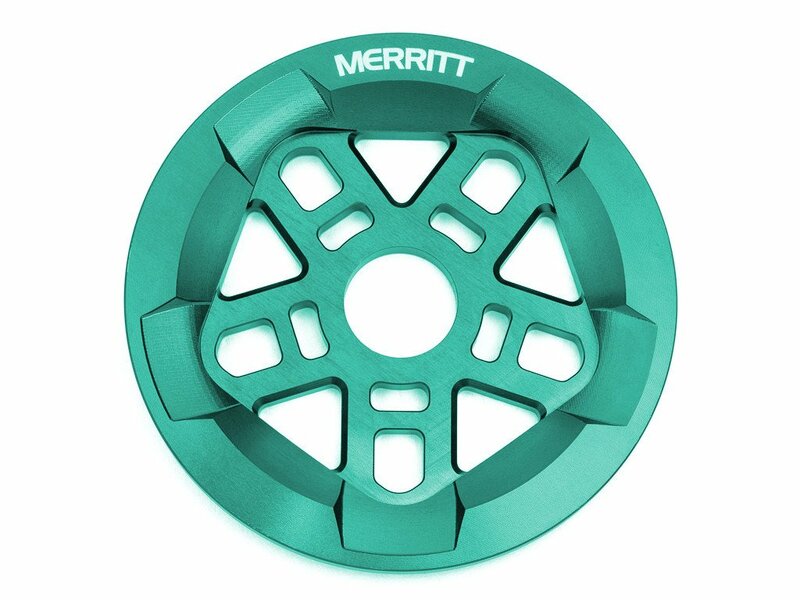 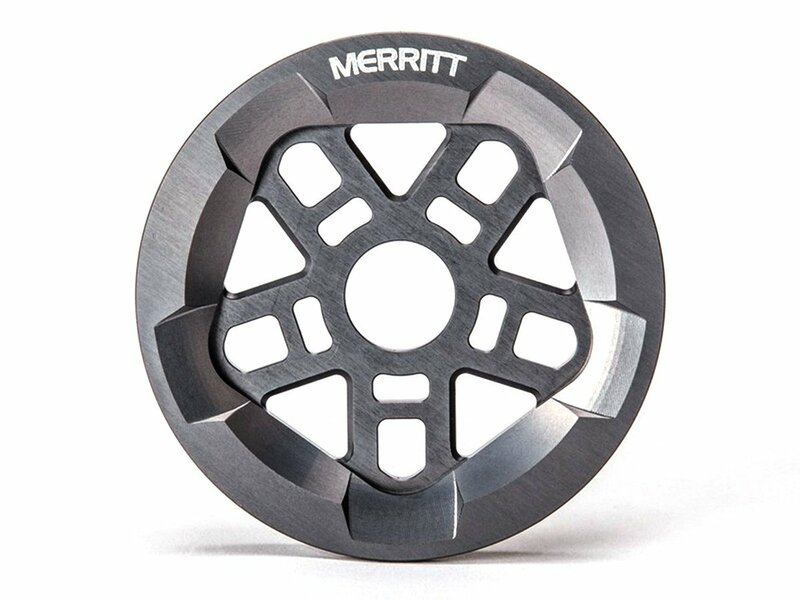 The Merritt BMX "Pentaguard" Sprocket is a super strong five spoke design that is CNC'd 7075 aluminum with a full guard. 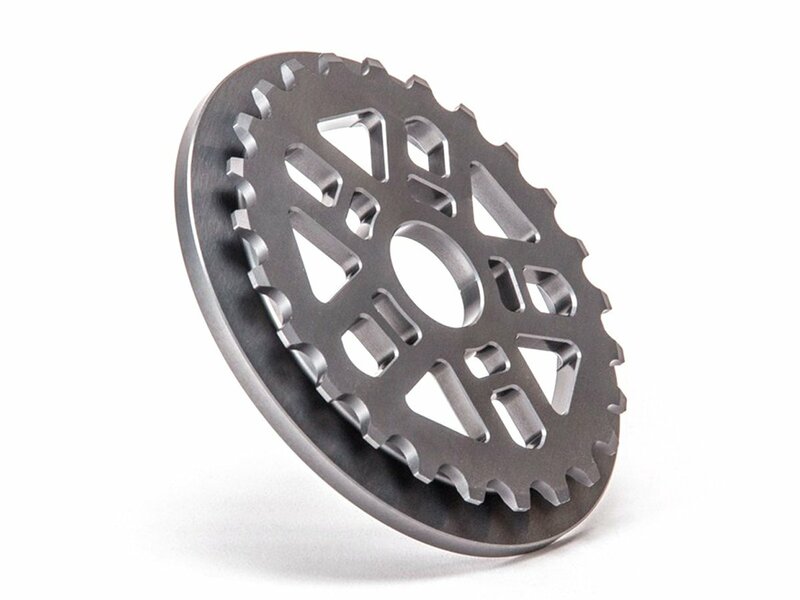 The strength combined with five rotatable positions means the sprocket will keeping taking abuse for a long time. 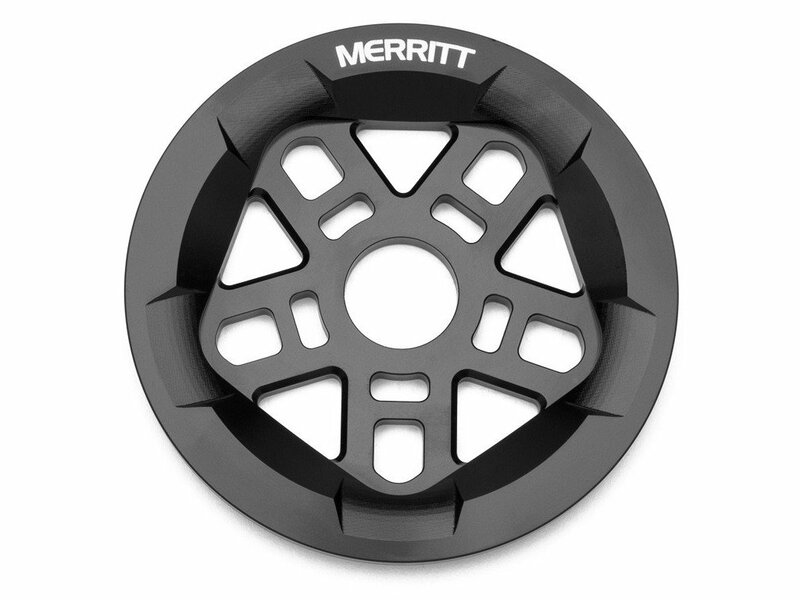 The Merritt BMX "Pentaguard" Sprocket comes with a 24mm bore and with 19mm and 22mm adapters and has a regular sprocket hole to fix it on crank arms.